Most people tend to be a bit confused by the definition of a townhouse, but generally it is seen as a home that is attached to another home. With a townhouse, the owner will usually own the land that the property sits on and the property line could extend to the front yard or back yard depending on where the unit is located. Foreclosed townhomes are properties that have been repossessed by a lender or bank due to insufficient mortgage payment. Once the home is foreclosed upon, the owner has no legal rights to the property anymore and the property can be auctioned to the highest bidder. Whether you're a first time homebuyer or a seasoned landlord looking for a cash flowing property, townhouse foreclosures can be great investments. Luxury townhomes that home-buyers might normally be unable to afford suddenly become a viable option once they've been foreclosed on. The main benefit of buying foreclosed homes is the cheap price (discount from market value) that you will pay. Lenders generally don't like to hold bank owned properties for very long. So any time they're forced to foreclose on a home, they want to get rid of the property as quickly as possible so that they can re-invest that money in new mortgages. The amount of money you end up making will depend on the purpose of your purchase. Do you want to find a fixer-upper and flip the property for a quick profit? Or do you want to find a property that will appreciate over time and become an asset during retirement? It's important to think about your purpose for buying before making an offer. Foreclosed townhomes are everywhere, but how do you know which one is right for you? Townhomes are pretty flexible investments but you'll want to decide ahead of time what the purpose of buying the property is. If you're looking for a main residence for your family, you need to consider things like schools and safety of the neighborhood. For investors looking to flip the property, it's important to think about what type of repairs the home will need. Think about whether you can do the work yourself or whether you need to hire contractors to do the work. Listing townhouses for rent is also a popular option but property management can eat up a lot of your time. You can save yourself a lot of money and hassle by preparing and researching before you decide to make an offer on a foreclosure property so don't rush this part. The Search: After you've determined the purpose of your property, you'll need to find suitable townhomes for sale. There are lots of foreclosure databases available online so that would be a good start. Financing a Foreclosure: This step might be the most important of all since without it, you won't ever be able to buy a foreclosure property. Cash is the preferred payment method when it comes to real estate. But since most investors don't have that much cash lying around, they will need to obtain appropriate financing. Speak with a lender to find out how much money you can borrow and be sure to get a pre-approval letter. Along with proof of a down-payment (bank statement should be fine), a pre-approval letter will show sellers that you are a serious buyer. Hire a Great Realtor: If you are unsure of how to buy foreclosures, it might be a good idea to hire a professional service or realtor that specializes in them. They will be able to help you find foreclosures for sale in your area and investigate whether or not the home will be a good fit for your investment purposes. Inspect Thoroughly: Inspect the property yourself inside and out before making an offer and once your offer has been accepted, hire a professional inspector. A lot of foreclosures are sold in as-is shape which means you won't get many concessions from the bank if/when problems are found during inspection. Little problems here and there are ok but you'll want to be proceed with caution if you find any major structural problems. The Offer: The final step involves making an offer on the property in question. 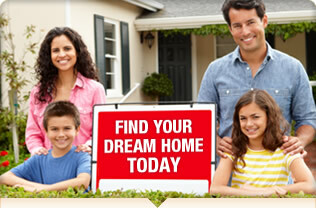 You'll need to contact the lender or listing agent in order to submit your offer. Make Your Offer Stand Out. When you have multiple offers competing for a single townhome for sale, you have to make your offer stand out. Sellers want a smooth and expedient transaction so try to highlight the fact that you have an adequate downpayment, financing, etc. You can also try to appeal to the emotion of the seller by explaining your situation: are you a young couple with a baby looking for their first house or are you surprising your fiancee with a new house once you're married? If a seller can empathize with you, they may be more likely to accept your offer. How Much Mortgage Can You Really Afford? Lenders like to use the 50% Debt-to-Income ratio when calculating loan amounts. So that means if you make $5,000 a month before tax, you can get a mortgage with a monthly payment of $2,500. That percentage might not fit for everyone though, be sure to calculate your monthly expenses and see if you can afford the payment your lender quotes before you make an offer. Foreclosed townhouses can make great investments due to their flexibility. Whether you decide to open a townhouse restaurant or rent out the property, it's important to know the purpose before you buy. Flipping houses can be one of the quickest ways to earn a profit from buying and selling real estate. Since a lot of buyers want homes that are move-in ready you can take advantage of older homes by making cosmetic repairs and then re-selling them as move-in ready. If you decide to you want to list your townhome for rent, make sure you carefully assess the surrounding neighborhood. If it's a 1 or 2 unit townhome then it will be well suited for young professionals and couples with a young child. Make sure you're in a safe neighborhood, but close to restaurants, shops and bars. On the other hand, if you're renting out a multi-bedroom townhome, that might appeal more to students and large families. In this case, make sure that quality schools and prestigious universities are nearby. What are the Differences Between Townhouses, Row Houses and Condos? Like townhouses, condos are often attached to another unit by a common wall. But the important distinction with condos is that the owner does not own the land the unit sits on, only the actual unit itself. With a townhome, you own the unit plus the land it sits on and any additional front or back space up to the property line. The distinction between townhouse apartments and row houses is often blurred, but row houses are generally homes that are of similar style, build and architecture in a row sharing one common wall. Row houses are typically found on the eastern coast of the United States and are very prominent in San Francisco, California. Row houses are all about consistency, distinguished by their protruding windows and uniformity. The important thing to take out of all this is that the distinction of the property, whether it's a twin town home or a condo townhouse does not matter that much. What matters is whether the property meets your investment needs and priorities. Foreclosure townhomes can make great investments as long as you know what it is you're investing in. After you've thoroughly researched foreclosure townhomes in your area you will have a good grasp on the foreclosure market. Townhouse foreclosures might not be for everyone but for those who have the motivation and passion, they can make for a great investment.